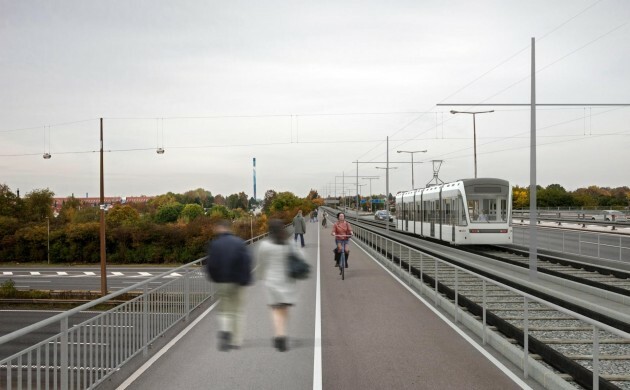 A unanimous Parliament yesterday passed the law regarding a light rail in Greater Copenhagen. The light rail, which is expected to open to the public in 2023-24, will be 28 km long and encompass 11 municipalities. Laying the track will cost about 4 billion kroner, and an additional 1.3 billion kroner will be needed for the carriages and the establishment of control and maintenance centres. The light rail will depart every five minutes during week days and every tenth minute during the evening and weekends. It will be possible to change to the S-train lines from six of the future light rail stations. The 11 municipalities involved with the project are: Lyngby-Taarbæk, Gladsaxe, Herlev, Rødovre, Glostrup, Vallensbæk, Albertslund, Brøndby, Hvidovre, Høje-Taastrup and Ishøj. Neither Copenhagen nor Frederiksberg will feature. The light rail trains will run on electricity and each one will have a capacity of 200 passengers. Some 13-14 million passengers are expected to use the light rail annually.